I’ve been thinking a lot lately about two things. First that it is easy to look at the online world and get overwhelmed by the accomplishments of others. People, especially bloggers get really good at presentation. It is part of the job after all. If what your sharing as a blogger doesn’t look good then it won’t get clicked on. Pinterest, Instagram, and Facebook are very competitive worlds after all. But I feel like that leaves a lot of people overwhelmed. There is no time to create that kind of perfect world in the lives of most folks, whether we are talking perfect party preparations, or perfect healthy habits. The second thing I’ve been thinking about is how I have gotten the privilege of really getting to know a lot of bloggers. I’ve learned a lot of their weaknesses, their histories, and obstacles. I’ve seen them fail and triumph. Because of this I thought it would be awesome to share some of the stories of my favorite bloggers with all of you. I thought I already knew these people. That I was already connected to them both in business and in personal lifestyle choices. What I didn’t expect when the email responses to my interview questions came pouring into my inbox is that I would be spending hours reading their responses and both laughing and crying. I already thought these people were inspirational. I already thought that they had been dealt some difficulties in their lives, what I didn’t expect is that I would be further amazed by them, and more deeply connected with them and their cause. I hope that what I will be sharing with you in the next few months will inspire you, empower you, and help you realize that not only are these real people with messy flaws, but also that you are capable of overcoming your challenges too. I hope that you find a few new bloggers to love and learn from, because this collection of wonderful people are some of my favorites and they have taught me so much. I’m Ashlee and I blog at The Crunchy Moose and The No Poo Method. I was raised in the Smoky Mountains in North Carolina and now live in Denton, TX about an hour north of Dallas. I have 2 kids – Morrison (3) and Mabel (6 months). Ryan and I have been married for 8 1/2 years. Ryan is supportive of my blog & lifestyle and plays along with most of my crazy DIY adventures. Although we do disagree on the appropriate number of mason jars a household should have! I sneak homemade kefir and supplements into his morning smoothie and I replace as many of his personal care products as I can get away with, with nontoxic alternatives. Morrison is a pickier eater than I’d like to admit. He does pretty well for a 3-year-old, but I’d love it if just once he’s say, “Why yes. Yes I love this broccoli.” Hasn’t happened yet. We serve him what we eat and he can eat from that what he chooses. He does go to bed sometimes choosing not to eat from his choices. Morrison and Ryan both love my essential oils. Mo calls them “smells”. He has his own set of empty bottles he plays with. It took Ryan a little bit of time, but he’s come around. What is your diet philosophy and why did you choose it? I follow the Weston A. Price diet. Whole, real food that is locally sourced and clean. Raw milk, grass-fed, free range, pasture-raised, organic, and local. I personally am not a fan of limiting food groups unless it’s needed for health reasons. I believe in moderation and the 80% rule. My family doesn’t have allergies and doesn’t need to limit food groups. What inspired you to change your life (this can include dietary changes, fitness changes, holistic health, green living, etc…)? Two months after I got married, I herniated a disc in my back. I then had 3 years of surgeries & procedures and was in constant pain. I had a spinal fusion (a decision I now regret). After my fusion, my surgeon was already talking about my next surgery. I decided enough was enough and what I was doing clearly wasn’t working. So I started researching natural alternatives. I started making changes in my diet. And my pain started to decrease. I started getting rid of toxins in my household products (cleaners, personal care items) and my pain decreased some more. I went crazy and became a no poo-er & stopped using shampoo. With each step, I became stronger and healthier. Then I added essential oils. I’m now stronger and healthier than my doctors said was possible. Read about my journey here. During this journey, my son came home (he was adopted) and he was very sick. He was allergic to just about everything. The doctor had him on a prescription formula that was 57% corn syrup and was taking 4 medicines everyday. He was losing weight. A few days after he came home at 1 month old, I knew that wasn’t going to fly with me. I started researching. I researched a lot. I gave him a bottle of raw goat’s milk. He drank the whole bottle. He didn’t throw up or spit up at all. He slept that night. I then researched how to heal his gut after all the medicine and horrible formulas he was on. I am proud to say that he is now a very healthy 3-year-old with zero allergies! Read more here. What are the most important changes you have made for your health, happiness, and well-being? 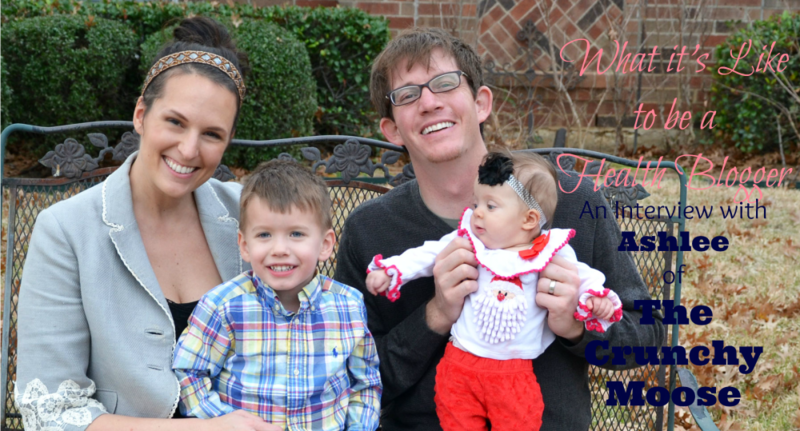 The best decision I have made for my family is to give this blogging thing a try. I work less, am home more, and my income is increasing. Now with a new baby, I’m working about 10 hours a week. I love that I can be at home, be present at home, and contribute to the family finances. The best decision I made for my health was to be my own health advocate. I didn’t become healthy until I stopped listening to my doctors. If I hadn’t done my own research, I have no doubts that I would still be having back surgeries and my son would still be sick with lots of allergies. 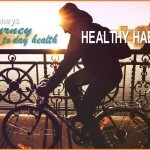 How did you make the necessary steps to becoming healthier? I started by researching. I read every blog, testimony, and study that I could find. I empowered myself to make my own health decisions. It didn’t happen overnight. It took time. It started with food. Then cleaning products. Then personal care items. Now it’s all just a part of my lifestyle. What do you think are the most important changes people need to make to improve their health? Eat real food and be your own health advocate. What are your best tips, or easy steps people can make to becoming more holistic and health minded? Find your local farms and dairies. Buy as much food as you can from them. Start with the products you use everyday. 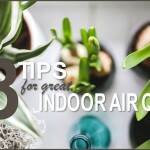 For example, start by switching to nontoxic deodorant and soap. There are great nontoxic products on the market or have fun with DIY recipes (which is how I got started). My typical day mostly revolves around my kids. Morrison goes to part-time daycare. In the morning I get him ready for school. While he’s at school, I am usually able to work for about an hour. The other 2 hours or so are spent with my daughter. I pick up Morrison, we eat lunch and play for a while. He takes a nap for a couple of hours. I am usually able to work for about another hour or so. When he wakes up, we usually play outside and go for a walk. My husband works an 8 to 5 job. When he comes home, I get dinner ready, we play, then put the kids to bed. Ryan and I usually have about an hour before our bed time. We usually watch a little TV. It’s not glamorous, but I love every minute of it! Since my back injuries, I don’t work out near as much as I used to. Honestly, my main motivation for working out is to avoid pain. As long as I do a little bit of movement and stretching each day, I stay out of pain. And my 3-year-old helps me accomplish that! I like Tracy Anderson’s workouts because they are low impact and effective for me. I do her videos a couple of times a week and go for walks when the weather is nice. What products do you feel are absolute must have in your home and why? Coconut oil, baking soda, apple cider vinegar, and essential oils. Between those 3 products, you can make just about any basic DIY cleaning and personal care recipe. Share a favorite recipe that has improved your health, and why. Fermenting has definitely improved my family’s health. Fermented foods are full of probiotics and amazing for gut health. New research is showing that poor gut health is the cause of many autoimmune problems. I ferment kefir and kombucha. Share a favorite healthy habit that has improved your health. Oil pulling. I love oil pulling. If you are into home remedies what one or two do you feel have been the most beneficial in your life? One of my favorite home remedies is making a garlic ointment. It stinks but boy is it effective! I add essential oils to it for an added immune boost. Do you do anything unique in your home, with your fitness routine, or with your diet that people find intriguing? The things that people in my personal life make the most comments on are oil pulling, kombucha, and that I don’t use shampoo. Do you have any funny stories about your unique lifestyle? One of my favorite stories about my journey was from when I was learning how to cook. I didn’t grow up in a house with a lot of cooking. I very well remember the first time I saw an actual garlic bulb outside of the grocery store. I was in college and made fun of my friend for using real garlic and not the powdered stuff. I learned how to cook while I was dating my husband. He came over for dinner one night and I was chopping garlic in the kitchen for what felt like a very long time. I looked at Ryan and said, “3 cloves! That sure seems like an awful lot of garlic! I thought garlic was strong and you didn’t need much.” He came to the kitchen and said, “Oh Ashlee. That’s 3 bulbs. This is s clove.” And picked up one little clove of garlic. Since I had never used an actual, real piece of garlic, I had no idea what the difference between a clove and bulb was! Boy, have I come a long way! Accepting the 80% rule and accepting that everyone is on their own journey. When I first started making lifestyle changes, I became a little crazy. I wasn’t able to eat at restaurants or eat at other people’s houses because I felt the food wasn’t the standard I wanted. I was going crazy trying to do it all at once. After I awhile, I realized that I can only control the food I bring into my house and I shouldn’t worry about what other people are doing. And it’s OK to have celebration & social food. And it’s OK if my son goes to his grandparent’s house and eats a bag of potato chips or a box of animal crackers. Moderation and the 80% rule are beautiful things! In my “real life” and circle of friends, I feel like I’m about a 9 on the crunchy scale. But then I get online and chat with my blogger friends! With them, I feel like I’m about a 5! I’m willing to try most hippy / natural trends. But there are a few I can’t bring myself to. Like family cloth. That’s one I haven’t tried! Something that usually shocks people is that I have zero interest in gardening and homesteading. I love the idea of an herb garden outside my kitchen window and chickens in the backyard. But in reality, I’ll never do it and will stick to supporting my local farmers. 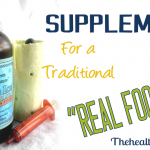 When I was researching natural alternatives, I read a lot of blogs. At the time I had no idea that bloggers were making money. I though they were just sharing their stories. As I was healing and making changes in my life, I thought, “I wanna share my story, too!” So one day I did. I was invited into a blogging community and that’s when I realized that blogging is a legit business. 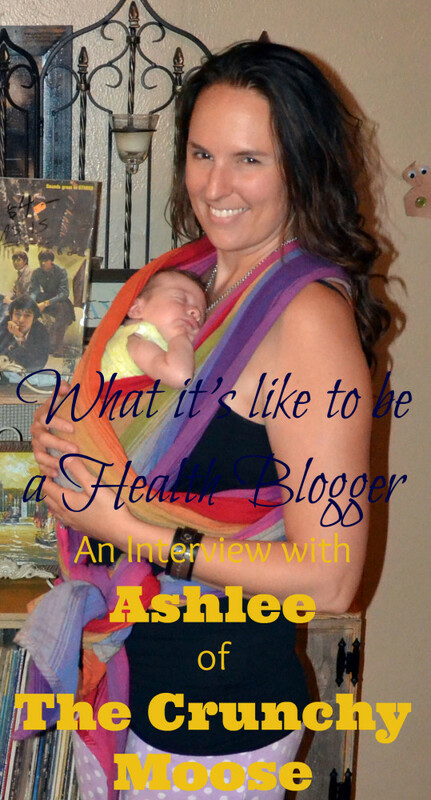 How did you become a health blogger? 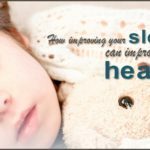 After my son was born, I sold my retail business because I didn’t want to work such long hours anymore. My plan was to stay home for about 6 months then go back to work. During that time, I started blogging because I needed a hobby outside of being a mom. Something just for me. After a few months, I started to get some traffic to my blog and I started to make a little bit of money. I decided to give it a little more time and see what happens. I’m so glad I did! Now my income has replaced what I would be making at a full-time job and there is growth potential. I love being able to be home with my kids and contribute to the family financially. If you have a book or program, what inspired you to write it? Tell us about it. 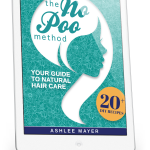 My e-book is The No Poo Method. One of the most popular posts on The Crunchy Moose is “One Year Without Shampoo“. I continue to get the most questions and comments on that post. So I made a website dedicated to No Poo. I thought I had written everything there was to say about natural hair care and no poo. But I still got more questions and comments. I decided to dive deeper and created the e-book. I am very proud of the book and happy that it has been received so well. Want to connect with Ashlee? Check out her sites… The Crunchy Moose and The No Poo Method.